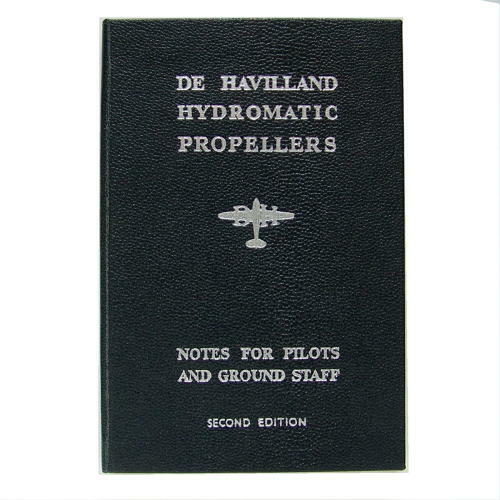 De Havilland Hydromatic Propellers - Notes for Pilots and ground Staff. H/b, 10.5 x 15.5cm, 67p. 2nd edition. Published by the De Havilland Aircraft Co. Ltd., Propeller Division. Covers a general description; installation and adjustment; ground and flight operation; governing and pitch change irregularities; maintenance and blade repairs. With associated illustrations, pull-out exploded diagrams etc. Named to owner. Excellent condition. Stock code P20564.